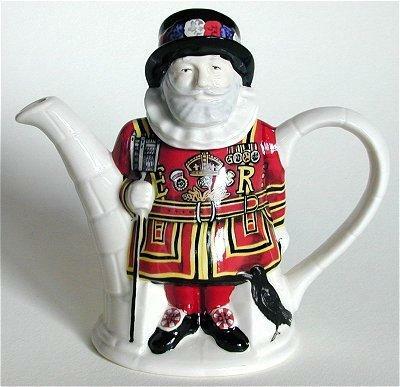 We are pleased to offer you some of the more interesting novelty teapots and mugs that feature a British theme. 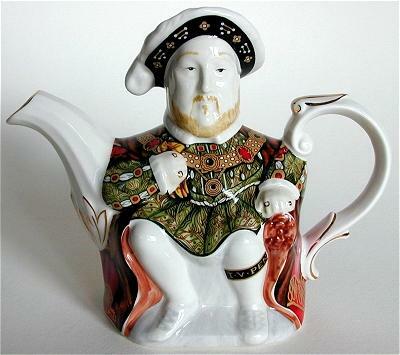 All are useable but we recommend hand washing the teapots. 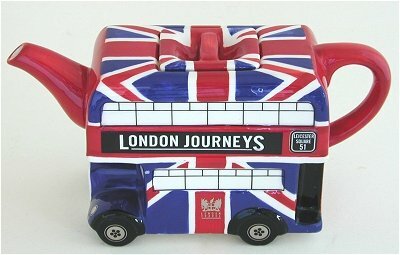 London Journeys Union Jack Bus teapot. Approximately 10 inches long by 5-1/2 inches high. 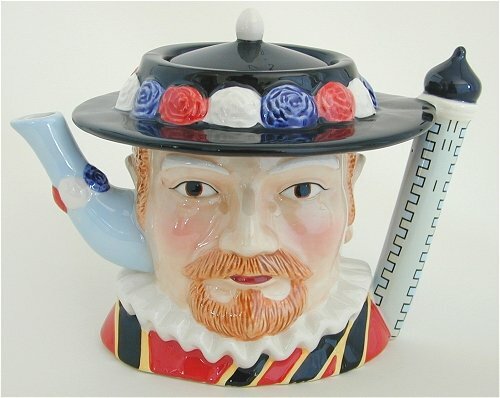 Designed in England, made in China. 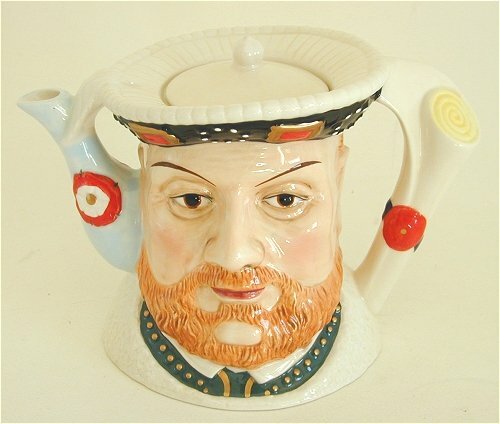 Now you too can have the head of King Henry the Eight. 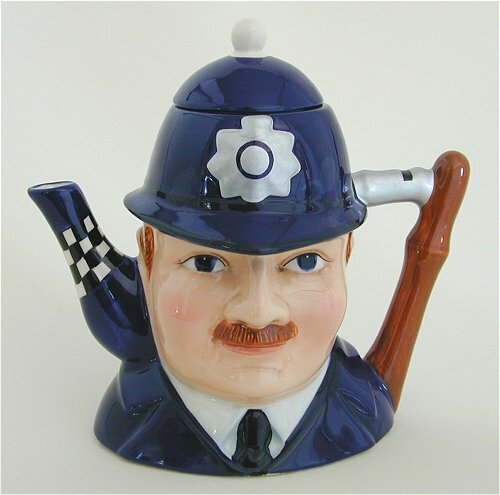 Two nicknames for British police, 'bobbies' and 'Peelers', come from the founder of the 'Met' Police, Sir Robert Peel, who founded the police in 1829.